The most remarkable thing about Enrico Scavino is that even today, this man ever longs to make better Barolo. 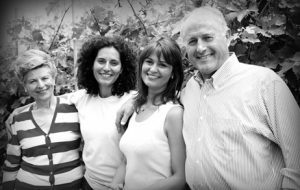 Decades at the helm of his family estate, founded in 1921, have already proven him a leader in the qualitative advances that have occurred in the Barolo area. Yet he has never stopped the experimentation that has kept him on the avant-garde of the Langhe region. He continues to vinify his wines parcel by parcel, taking advantage of these small fermentations to make better wines. 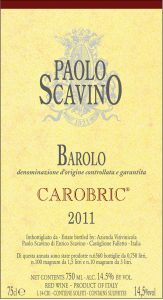 In fact, in 2007 Enrico designed and fabricated his own fermentation vessel, used exclusively on his Barolo, to improve the finesse of extraction from his Nebbiolo grapes. Today, with his daughters Elisa and Enrica working with him full-time, it would seem possible for this statesman (a contemporary of Domenico Clerico and Elio Altare) to take a step back. Instead, Enrico’s passion is further bolstered by the presence of the next generation! And speaking of family, we’d be remiss not to mention that Enrico’s first cousin and neighbor is Luigi Scavino of Azelia fame. Alfonso, father of Luigi, and his brother Paolo, father to Enrico, divided ownership of the 11 hectare Scavino farm in the 1950s, giving each an equal share of the famed Fiasco hill. Castiglione Falletto lies in the very heart of the Barolo area — its soils are of both tortonian and helvetian origins, stratified amongst each other. In other words, crus in Castiglione like Bric del Fiasc (or even Bricco Boschis for that matter) combine the elegance of Barolo and La Morra with the power of Serralunga and Monforte. 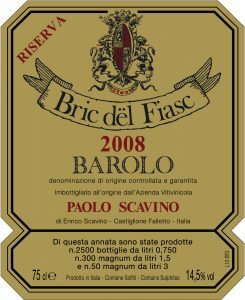 The first vintage of Bric del Fiasc was 1978—as a Barolo Riserva—hence the release this year of the 30 year anniversary Bric del Fiasc Riserva 2008. But Enrico never closed his eyes to the beauty of the neighboring communes: in 1985 he signed a long-term lease on a small parcel in Cannubi in Barolo. 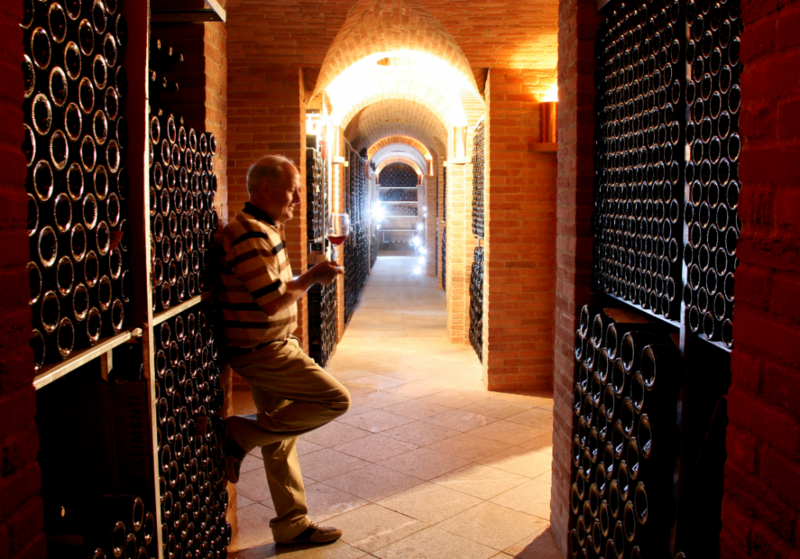 Next, in 1990, he acquired a piece of the famed Rocche Annunziata cru in La Morra. 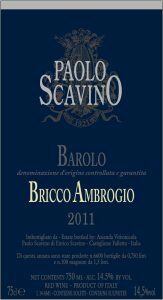 In 2002, with the help of Domenico Clerico, he purchased a piece of Bricco Ambrogio, the most renown vineyard in the commune of Roddi. And most recently in 2007 he added a piece of Monviglero, considered the grand cru of Verduno. View a map of Scavino’s vineyards and varied terroirs. Winemaking at the estate has evolved over time, but the one constant, even from the days of Enrica and Elisa’s grandfather, is hygiene: the cleanliness of the winery and health of the grapes remains paramount. Technology has had its influence; Enrico recalls working the vineyards with oxen and horses, and said of the purchase of his first tractor: “I couldn’t have been happier if my father had gifted me a Ferrari!” In 1993, rotofermentors arrived at the estate, and between 1996-1999, Slavonian casks were replaced with French oak. But barriques were always and only used for the first 10 months of aging before the wines were transferred to larger oak botti. The percentage of new oak has been much reduced from a high of 30% in the 1990s to only 20% new from 2004 – 2008, and 17% new in 2011 and 2012. For the 2015 harvest, they have further reduced the percentage new to just 14%. In addition, quality control at the estate is absolutely crucial. Scavino could make more wine, but they choose to sell 10-30% of their production in bulk to maintain their high standards. This small family farm, which essentially started with 5.5 hectares, now manages 29 hectares of vineyards, and regularly finds itself classified among the other top estates of the Barolo region. The Skurnik family is most excited to welcome Scavino back to our portfolio! Tasting through the wines this fall was even more exciting than we could have imagined. From that moment, we knew that their proper place was here with us. This Barolo represents the history and tradition of blending different crus of Nebbiolo in order to create a house style. The same care and quality work are employed in the production of this wine as for all of the cru Barolos. Sourced from the top performing plots of 7 single vineyards in the village of Castiglione Falletto (Rocche Moriondino, Vignolo and Pernanno vineyards), Barolo (Albarella, Terlo and Vignane vineyards) and Serralunga d’Alba (San Bernardo vineyard). Produced from three of Scavino’s best terroirs, mainly the Rocche di Castiglione vineyard (in Castiglione Falletto) blended with smaller percentages of Cannubi (in Barolo) and the Fiasco vineyard (in Castiglione Falletto). This is a multifaceted Barolo expression with beautiful balance. The most important vineyard in the village of Roddi, located just south of the Tanaro river, with soils rich in marine fossils and limestone. Produced for the first time in 2002 and nearly a monopole. 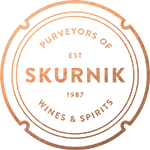 Perfumed and generous in its expression with soft texture. The Grand Cru vineyard of Verduno. The first vintage produced was 2007. Located in the northern part of the Barolo region, this vineyard has a very special microclimate: warm during the day and cool at night, thanks to the cool air currents from the Tanaro river. This bottling is very elegant and focused with excellent tension. The grandest of Cru, Cannubi is probably the most historical vineyard in the Barolo region. 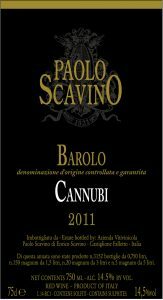 Vinified by Paolo Scavino for the first time in 1985, Cannubi holds some of the family’s oldest vines, planted in 1946. The low yields of this vineyard lend richness and charm to the wine. 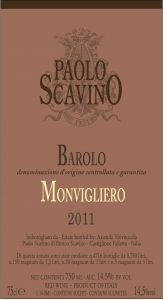 This cru is the image and identity of the Paolo Scavino winery and has been in the family since 1921. Their very first single vineyard Barolo made for first time in 1978, in Castiglione Falletto from the Fiasco cru. Theirs since 1921. Balance of elegance and power. Density of fruit, vibrant and refined tannins in the texture. 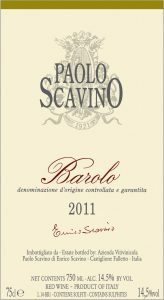 Scavino’s only constant Barolo riserva since 1990. Found in the village of La Morra, Annunziata is one of the most prestigious and historical Grand Cru of the Barolo zone. It shows great complexity, finesse and harmony. 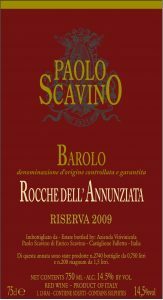 As opposed to the other Barolo, Rocche Annunziata is aged 8-12 months more in large cask and 1 full year more in the bottle. 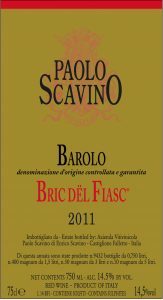 Paolo Scavino’s iconic Bric del Fiasc vineyard has been in the family since 1921. It was first vinified and bottled separately in 1978, one of Barolo’s earlier examples of a single vineyard cuvee. The 2008 vintage marked its 30th anniversary and to celebrate the Scavinos produced their first ever Riserva from this plot, where they have only just released. The fruit comes from the oldest part of the vineyard and the wine is aged for two years in a mixture of small barrels and large oak “botti” vats as per the regular bottling but with three years extra ageing in bottle. The production has been limited to 2,500 bottles and a mere handful of magnums and double magnums.